Happy St Patrick’s Day! For many people, today is a fun day. After you get off work, you can celebrate and spend time with family and friends. While today is not considered by many to be a major holiday, some stores and retailers are offering special St Patrick’s Day freebies and sales. Check out these awesome freebie giveaways and sales that are going on today! When you take advantage of the freebie offers, you just have to pay for shipping. The special sales offers give you a chance to save some green on your purchases! Remember, these are special freebies and sales for St Patrick’s Day. Many of these offers are only available today! Don’t delay in taking advantage of the freebies and savings! Offers.com is currently offering deals and sales on many different items including flowers, purses, socks, coffee, gift cards, and more. You can check out their sales on the Offers.com website. Remember, many of these sales are only valid TODAY! Be sure to take advantage of them while you can. Oriental Trading Company is offering a 60% off sale for St Patrick’s Day. You can get a variety of St. Paddy’s Day party supplies and favor items at a deeply discounted price. Teleflora is offering a special sale on flowers today. Through today, you can save 25% when you enter the discount code AFLSPADDY25 at check out. They have some beautiful bouquets and arrangements for anyone who would enjoy receiving flowers this St Paddy’s Day! 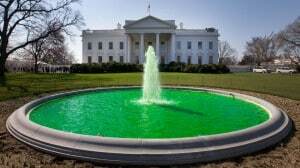 This year, St Patrick’s Day falls on Thursday, March 17. 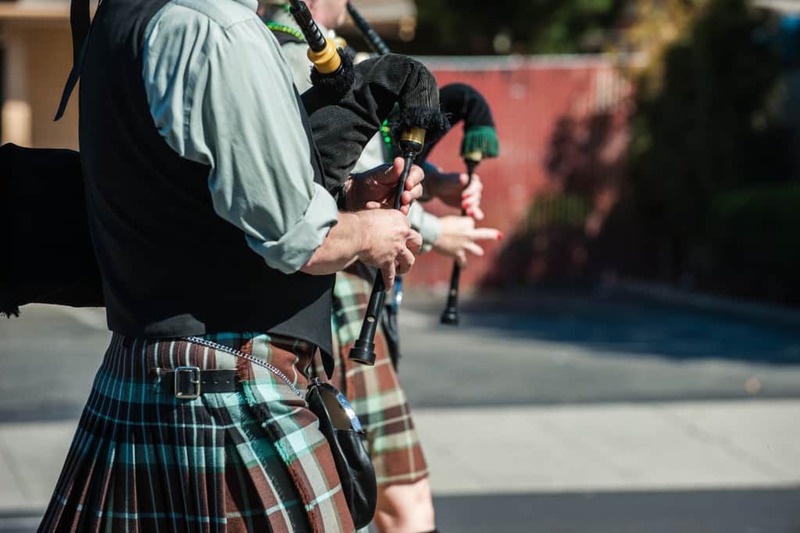 This may not be a holiday that people go ‘all out’ for, but some enjoy treating it as a special occasion (especially those who are Irish or who identify as Irish for that day!) If you want to make the day special, you can do so in a variety of ways. You can make St Patrick’s Day themed treats, drinks, and meals. You can decorate your home in four-leaf clovers and leprechauns. You could even make St Patricks Day shirts! Today, we are going to give you some tips on how to make DIY shirts that are perfect for St Paddy’s day celebrations! You can get a solid colored t-shirt at your local craft store for a relatively low price (think Michaels, Hobby Lobby, AC Moore, or JoAnn Fabrics) and be sure to check for coupons before you shop! Then, purchase a cute (and affordable) iron on St Paddys Day themed applique from an Etsy shop such as OnceUponADesign. Simple, affordable, and customized to your taste. Print a shamrock template off from your computer and trace it onto green felt. Cut it out, then use craft glue to attach it to a plain shirt. You can add stitching around the perimeter of the shamrock. This can add a bit of extra color and contrast, and also helps it stay in place. Check out this blog for a visual. If you have green fabric paint laying around (or you want to go out and purchase some), you can make a polka dot shamrock shirt! This shirt is easy to make and fun for kids to help with! You just need a shirt, fabric paint, pencils with new erasers or q-tips, and a stencil. 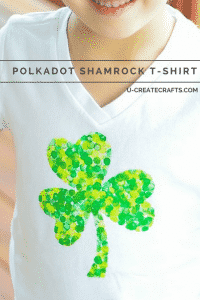 For more detailed information about how to make a polka dot shamrock shirt, check out this blog. IHOP Free Pancakes on St Patricks Day! IHOP’s famous buttermilk pancakes are a great way to get the day started. But IHOP FREE pancakes are even better! That’s right! Head in to your local IHOP this St Patricks Day wearing green and you will receive a FREE short stack of buttermilk pancakes! Offer valid on Tuesday, March 17th from 7am to 7pm only. 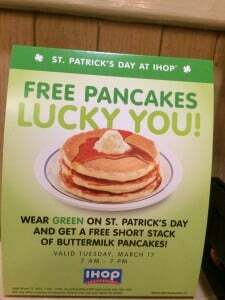 Break out your green clothes and head to IHOP this St Patricks Day! Every year March 17th marks the occasion when the Irish (and Irish at heart) observe this holiday. 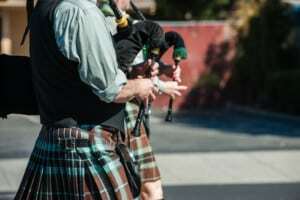 What started as a day of religious feast in honor of the patron saint of Ireland has become an international festival celebrating Irish culture. St Patricks day is synonymous with parades, dancing, special foods, and a lot of green! When planning for the holiday be sure to check out when your local parade is being held. This is one of the best St Patricks day freebies you can find! Parades are a great event for the family to attend and there are usually some cool things specifically geared toward children. If you’re planning to have people over for the holiday you will need food and decorations. You can get into the holiday spirit without spending a lot of money. Here are some easy ways to nail that holiday theme without breaking the bank. Ask yourself, “Where are the thrift shops near me?” This is a great way to find cheap clothing and accessories that may not be St Patricks Day items on their own but can be made to suit the holiday. Look for things like green clothing, black clogs, black top hats, and red wigs. Again, this is a one day event; these items don’t need to be top of the line products. You just want to capture the spirit. A lot of items can be transformed with the addition of a properly placed piece of fabric (like cutting a gold or yellow belt buckle out of fabric or paper and gluing it to a black top hat). There are also many great sources online for you to download free DIY decorations like cards, coloring pages, and decorations. These are great options to avoid spending a lot on decorations while keeping the kids involved. 1) Preheat oven to 375 degrees. Lightly grease a large baking sheet. 2) Mix together flour, sugar, baking soda, baking powder, salt, and margarine in a large bowl. Stir in 1 cup of buttermilk and egg. Turn dough out onto a lightly floured surface and knead slightly. Form dough into a round mound and place on baking sheet. In a separate small bowl combine melted butter with 1/4 cup buttermilk. Brush loaf with this mixture. Use a knife to cut an “X” into the top of the loaf. 3) Bake until a toothpick inserted into the center of the loaf comes out clean (about 45-50 minutes, but be sure to check after 30 minutes). Continue to brush any left over butter mixture over the loaf as it bakes if you wish. This year, celebrate St Patricks Day the right way with a collection of holiday crafts, creative ideas, and recipes from Favecrafts. This book is perfect for kids of any age. To sign up and download your copy of Irish for a Day: St Patricks Day Crafts and Recipes free ebook, check it out here. Start planning your activities now with Favecrafts!